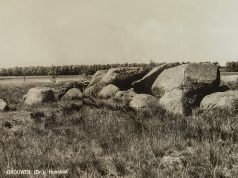 When Prof van Giffen prepared his inventory of hunebeds around 100 years ago, he numbered those in Drenthe D1 to D54 and those in Groningen G1 to G5. A total of 59 hunebeds. However, anyone setting themselves the target of visiting all 59 hunebeds will find it an impossible task because today only 54 are left. And one of those now stands not on its original site, but inside a museum. 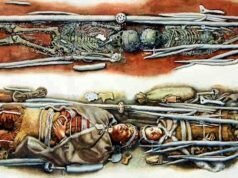 Archaeologists believe that there were originally at least 100 hunebeds. Many disappeared completely over the centuries, but van Giffen and others were able to identify the location of around 30 of them: at least 3 in Groningen, 20 in Drenthe, one in Friesland and two in Overijssel. 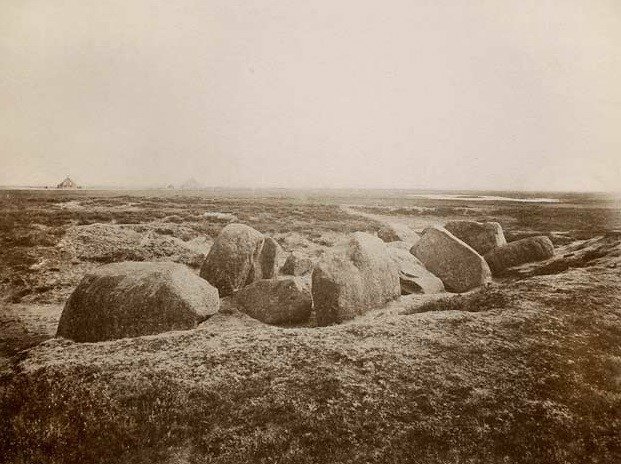 Van Giffen numbered the ones in Drenthe by adding a letter after the number of the closest existing hunebed eg D32a. 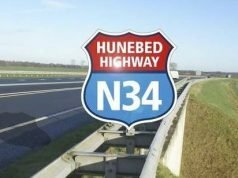 Inconsistently, he numbered the missing hunebeds in Groningen in a different way as G2, G3 and G4. In 1982 a new hunebed was discovered near Delfzijl and – confusingly – this is sometimes known as G2 and sometimes as G5. Two of the missing hunebeds in the province of Groningen, G2 and G3, were in Glimmen, south of the city. 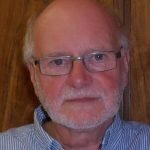 Both sites were examined by archaeologist J. N. Lanting in 1970 when fragments of over 400 pots from the Funnel Beaker Culture were discovered. 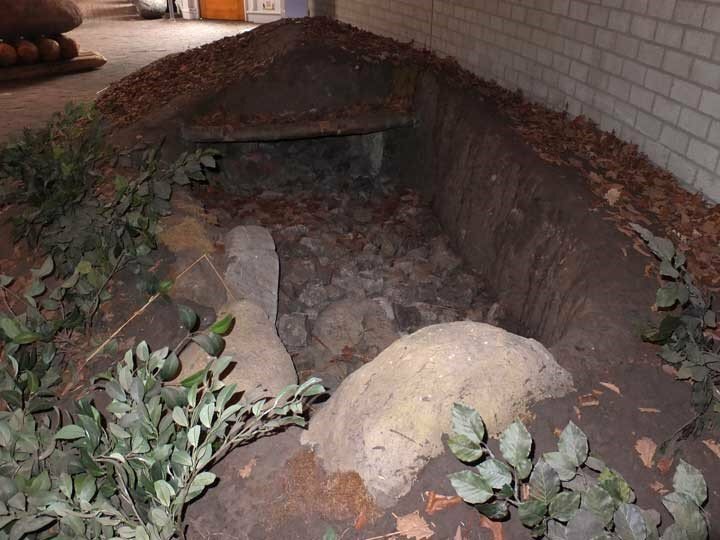 Both hunebeds seem to have been demolished in the 10th or 11th century and it is thought that the stones were used in the construction of the St. Walburga church in Groningen. 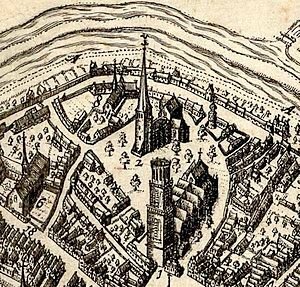 The church itself was demolished in 1627. Almost nothing is known of G4 which is thought to have originally stood in Onnen, to the east of Glimmen. ‘A pile of stones’ is mentioned in a document dated 1711 but the supposed site has never been excavated. 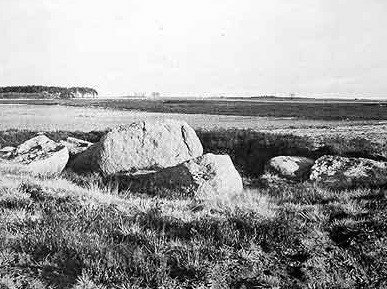 Hunebed G5 (or G2) was discovered by accident in 1982 during excavation work for a new industrial area at Heveskes near Delfzijl. 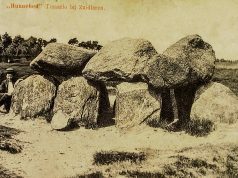 It is of an unusual type which archaeologists call an ‘extended dolmen’, where the entrance is not in the middle but at one end in place of a keystone. Similar designs are known in Denmark and in the Mecklenburg and Schleswig-Holstein regions of Germany. The hunebed contained a large quantity of earthenware fragments and flints. 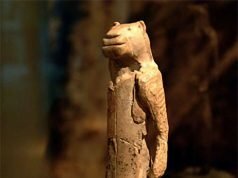 Research showed that the hunebed was demolished before 2000 BC at the time of the Bell Beaker culture. The site was cleared in 1987 and the 6 uprights, 1 keystone and 3 capstones were moved to the MuzeeAquarium in Delfzijl, where the hunebed was reconstructed in its original state. 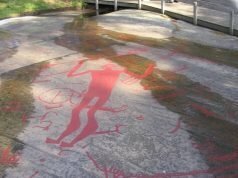 The hunebed at Heveskes was found two metres deep under an earthen mound, together with a stone cist dating from the same time. A cist is a simple grave consisting of a rectangular structure of flat stone slabs placed standing upright. Cists have no entrance but could be opened very easily for re-use as the slabs were relatively light. Most people at this time would probably have been buried in such simple graves rather than in hunebeds. 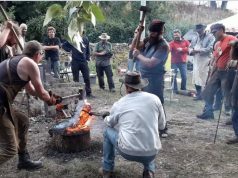 The cist can now be seen in the Hunebed Centre in Borger. The stone kist of Heveskesklooster is now in the Hunebed Centre. 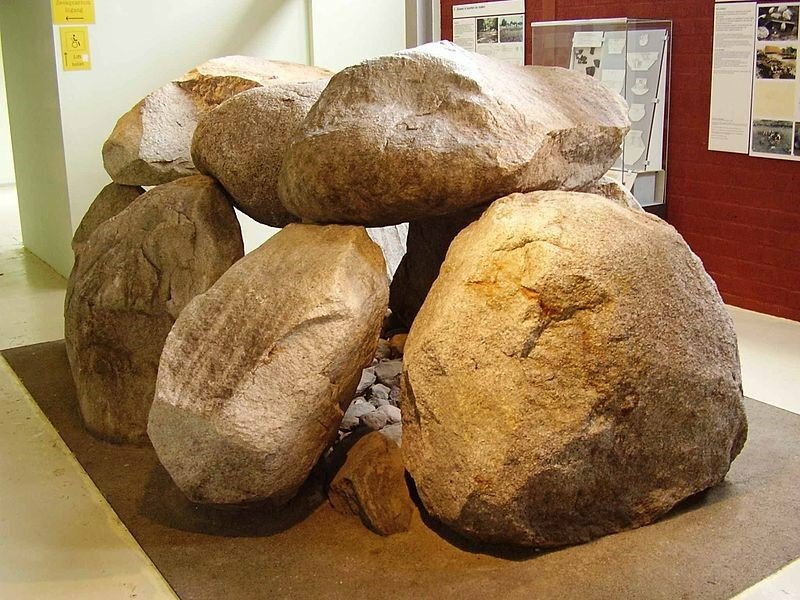 In their book ‘Hunebedden: Monumenten van een Steentijdcultuur’ (2005) the authors (Evert van Ginkel, Sake Jager and Wijnand van der Sanden) list 20 lost hunebeds in the province of Drenthe. Many of these had already almost completely disappeared by the time Prof. van Giffen carried out his inventory in the late 1920’s. 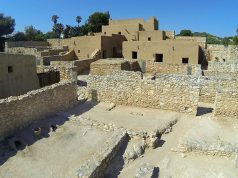 Some sites were subsequently excavated by J. N. Lanting and others in the 1980’s and 1990’s, with mixed results. Some produced many fragments of pots, others turned out to be cists rather than hunebeds. 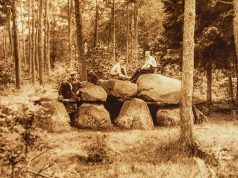 When van Giffen saw this enormous rock sticking out of the ground on the outskirts of Emmen, he thought that it was the capstone of a hunebed. Later excavations show that it is just a very large boulder and only sand lies beneath it. D33 in Valthe is unique among all the lost hunebeds because it was destroyed by van Giffen himself! He had excavated here earlier and found nothing of any archaeological value. 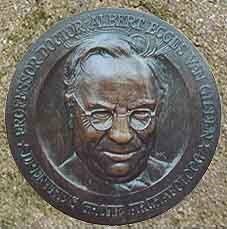 In 1959 it was just a pile of stones, a badly damaged example which van Giffen described as ‘a hopeless case’. In order to restore D49 the openings between the top, side and keystones were filled in with plugstones. The entrance gateway, consisting of four side-stones and one capstone, was rebuilt, the floor of the chamber was paved with cobblestones and levelled with granite grit. Finally, half of the hunebed was covered with an earthen mound, comprising sand and turfs. At the foot of the mound the kidney-shaped garland of 28 standing kerbstones was restored to its rightful place.